Cordierite has excellent thermal shock resistance, good strength and can be formed by pressing, extruding, casting and vibrating into complex shapes. Cordierite mullite kiln furniture is widely used in porcelain, heavy clay, glass panel, powder metallurgy, magnetic materials, green energy, food, glass, abrasives, iron and steel, mining and aerospace engineering. 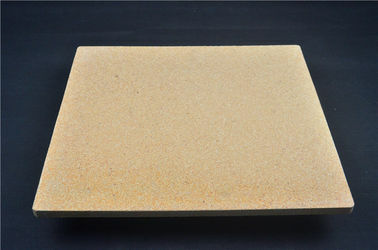 Besides its use as kiln furniture, it is also extensively used in kiln structures and kiln car system, where it is combined with ceramic fiber to achieve the aims of improving fuel efficiency and avoiding contamination. The ideal chemistry to produce the crystals is 13.8% MgO, 34.8% Al2O3 and 51.4% SiO2 (2MgO, 2Al2O3, 5SiO2). Talc, kaolin and raw alumina powder can be blended to produce this chemistry (other materials are also used e.g. aluminum hydroxide, steatite and other MgO minerals). Compound materials (like kaolin and talc) react better than pure oxide materials (like MgO, Al2O3, SiO2). Materials of finer particle size react better. We can also supply SiSic beam.